About twenty years ago, my brothers and I were having dinner at Gallagher’s steakhouse in Manhattan. This place has nothing to do with the comedian Gallagher and, as such, we did not have to wear any protective clothing, but we did have to wear sport coats because it was a fancy place. While I have a genuine disdain for sport coats, it still beats picking bits of watermelon out of one’s hair. 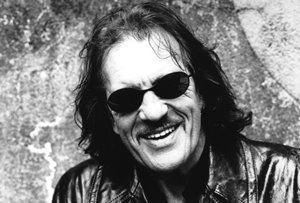 My brother Greg and I were distracted because sitting at the table next to us was Jim Capaldi, the lyricist and drummer for the band Traffic. He was in New York for a reunion with Steve Winwood who was, at the time, back in the high life. Capaldi died of cancer back in 2005. Imagine being at the end of your life knowing that your the time you have left is in limited supply and writing those lyrics. Perhaps Jim was fearful about what happens after his departure from this life. Maybe he was wondering if there is an afterlife or is that a bunch of Mr Fantasy? How did we treat our parents, those very human people who brought us into this life? Did we forgive any mistakes they made? Did we come to their help when they got older and could no longer care for themselves? How did we treat our siblings? Those brothers and sisters we grew up with who helped shape who we are. Were we there for them when they asked for our help? How did we treat our romantic partners? Did we treat them respectfully or did we love them and leave them? How did we treat our spouses? Did we put their needs before ours? Did we treat them as partners or as servants? How did we treat our children? Did we love them unconditionally or did we try to force fit them into some template of a life that we planned for them. Did we allow them to flourish as individuals or did we try and raise a bunch of carbon copies of ourselves? Were we honest in our business dealings or were we cut throat? Did we treat our customers fairly and our co-workers respectfully or did we do whatever it took to get ahead? These are just some of the types of questions that would cause us to think critically at the end of our time and question whether or not we lived lives that were good enough to gain admittance into heaven. All of these questions outlined above could be streamlined into one umbrella question; did I live my life by putting myself first or by putting others first? More simply, how strongly did I love my neighbor? The good news is even if we have not led perfect lives (really, who does?) every day we are presented with multiple opportunities to place others first. From the homeless man asking for a dollar on one’s walk to work to the child who asks for help with their homework to the aging mother who calls to ask for help with a computer issue, there is no shortage of opportunities to start putting others first. In addition to being the right thing to do, it also feels good to serve others. I was reminded of this a few months ago when I met up with my 4th grade teacher Sr Dorothy Collins to volunteer at the Holy Apostles soup kitchen in the Chelsea section of Manhattan. By simply taking a few hours out of my day to help others I not only made a difference in their lives, but I felt great while doing it. I can’t speak for how Jim Capaldi led his life. He did, after all , write some pretty strange songs; I am not sure how one comes up with titles such as 40,000 Headmen or The Low Spark of High Heeled Boys but I am guessing it wasn’t a by product of good clean living). That said, to paraphrase Pope Francis, ‘Who am I to judge ?’ In doing a little research on Capaldi, I learned he was married to only one woman until the day he died and was very active in environmental issues. He and his wife also were involved with an organization called Jubilee Action which is dedicated to helping the poor children of Brazil (Capaldi’s wife is Brazilian and they split their time between their homes in England and Brazil). I am far from perfect and will no doubt continue to fail in my efforts to lead a life of putting others first. But somewhere in here I may have helped Capaldi find an answer to the question that this song’s title asks (albeit a bit too late) ; getting to heaven may simply be a matter of loving your neighbor more than you love yourself.